KATHMANDU, March 20: When the Central Investigation Bureau (CIB) with help of the Interpol arrested Rajkumar Praja from Malaysia in 2015, Nepal Police and wildlife activists hailed it as a watershed moment for the campaign against one-horned rhino poaching in Nepal. They had ample reasons to celebrate Rajkumar's arrest. After all, he was not just another criminal. Rajkumar has pleaded guilty to killing at least 25 rhinos, mainly in the Chitwan National Park though some CIB officials who looked into the case say he may have been involved in the killing of as many as 35 rhinos. But what they did not explain, or deliberately avoided, was that Praja and at least a dozen members of his family, most of whom are currently serving jail terms in Bharatpur District Prison, were mere foot soldiers in Nepal's multi-billion dollar poaching industry with its tentacles spread across the globe. This is the feeling that one would get upon reaching the house of Rajkumar Praja in Korak, a remote village in Chitwan which borders Dhading district. Rhino horn is a widely sought after commodity in Asia's black market and as some reports suggest, it is among the world's most expensive commodities. 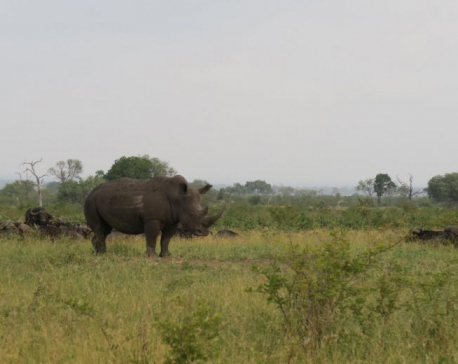 Rhino horn fetched up to 100,000 US dollars per kilogram in the international market in 2014, according to the Poaching Fact, a website dedicated to uncovering and disclosing facts about the wildlife trade. This perhaps explains why Nepal Police falsely assumed that the Prajas had amassed millions over the years and dubbed Rajkumar as the kingpin of rhino poaching in Nepal. Despite their involvement in wildlife poaching for nearly two decades, very little has changed for the better for the Parja family. The family lives in abject poverty and often struggles to meet the basic necessities. They live in an old house which was built decades ago with timbers from the forest in their backyard. Suk Bahadur and Maanrupa, Rajkumar's parents, still toil more than 12 hours a day to make a living. Sara and Rashesh, Rajkumar's children, walk more than an hour to attend a government school in the adjoining village. “We usually run short of food every year. The produce from our farm is barely enough to feed the family for six months. Since there aren't any men left in the family to earn, we ourselves seek work to meet the daily necessities. It has been always been like this for the past ten years,” Moti Maya Praja, Rajkumar's wife, told Republica. The family is mainly dependent on maize, millet and some paddy they grow in a small plot of terraced land. The harvest hardly sustains the family for five months, Moti Maya said. Three generations of this Praja family are serving jail terms for wildlife-related crimes. Besides Rajkumar and his two brothers -- Dal Bahadur, Bal Bahadur -- and many of his close and distant relatives from his mother's and father's sides are in the district prison. Ram Kumar Praja, Rajkumar's third sibling, was recently released after serving seven years in prison. He has not returned home since. In the absence of working age men in the family, Moti Maya and other women in the family collect firewood and sell it in the market at some distance to meet the daily necessities. They also do menial labor to supplement their income. Dal Bahadur, the oldest among Maanrupa's four sons, was arrested by the police six years ago, shortly after Rajkumar escaped the prison. He had just returned from abroad. Pabitra Maya, Dal Bahadur's wife, says that her husband was framed by the police. “My husband had nothing to do with this business. He had just returned from abroad. Police came searching for him after Rajkumar escaped the prison and took him away for interrogation. They didn't release him,” said Pabitra, who also spent 18 days in Kasara camp of the Nepal Army for interrogation. The Bharatpur District Court has handed Dal Bahadur 10 years jail. The family wants to appeal the District Court's decision. But they do not have money to pay the private lawyers. “The private lawyers in Bharatpur have agreed to fight the case. But they have asked us to deposit some money in advance. We have no money to pay them,” said Dal Bahadur's son Bikash, who also spent 28 days in police custody for interrogation. Bikash works as a laborer. The Prajas' story is a stark example of how families living on brink of poverty are being lured into wildlife crime by racketeers offering them little in return. This at the same time shows how many families are facing the devastating consequences of the crime while the actual masterminds, who take all the benefit, remain untouched. According to the Chitwan National Park, Korak, a badly underdeveloped village inhabited by the Chapengs such as Praja, is major poll for wildlife rackets to recruit poachers. They said that around 300 people from Korak, which lies a few miles away from the national park, are currently serving terms in prison for various wildlife offenses. 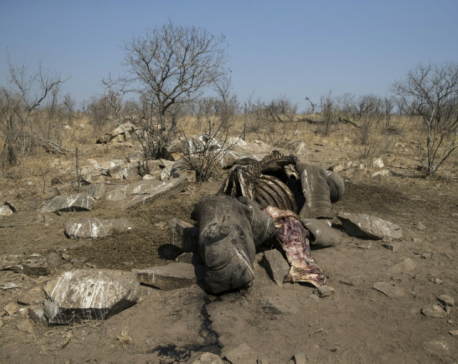 “Oftentimes people arrested from these areas say that they were unaware of the fact that killing rhino could land one in jail. Many others commit the crime despite knowing the consequences,” said Senior Superintendent of Police Dinesh Ammaty, who is also the chief of the Metropolitan Crime Division. This February, the CNP marked 1000 days of zero-rhino poaching, a remarkable achievement in the conservation of the endangered species. But experts and policymakers worry that the current approach may not be sustainable due to its failure to properly engage the local communities in conservation. They pointed out on need for more practical reforms to link conservation and the communities for sustainable outcomes. “There has been some work on raising awareness. But that alone won't stop people from wildlife crime unless they are given alternatives for livelihood. There is a need for clear push to uplift the lives of Chepang and other communities by linking livelihood programmes with conservation,” said Ram Chandra Kandel, Chief Conservation Officer of CNP.